NEA Big Read Lakeshore – Page 2 – The Big Read is a program of the National Endowment for the Arts in partnership with Arts Midwest. | Hope College NEA Big Read Lakeshore – Page 2 – The Big Read is a program of the National Endowment for the Arts in partnership with Arts Midwest. …So What Exactly is The Big Read? October is winding down and preparations for the Big Read are ramping up! 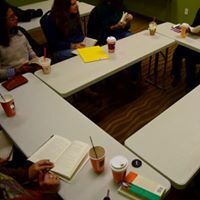 We’re excited to see many of you at our events next month, but you might be reading this and thinking to yourself, what exactly is this “Big Read” thing? We’re with you! The Big Read is an octopus of an event, with tentacles reaching out into a myriad of community spaces and areas of study. Here’s our take: The Big Read is like a book club on steroids. Okay, but that’s still a little vague, you’re thinking. Not to worry; we’ve got the perfect resource for you! Check out this link for all of the details about this year’s main events and other ways that you can interact with Julie Otsuka’s When the Emperor Was Divine. And keep an eye out on our social media pages for pictures and videos capturing all of the action! Posted on October 26, 2017 October 26, 2017 Author Lindsay Kooy2 Comments on …So What Exactly is The Big Read? 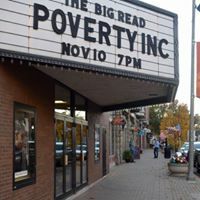 Gold-tinged leaves glowing on maple trees, flannel-donned students filling Hope’s campus, and cider slushes in the hands of downtown shoppers… all signs that The Big Read Holland Area is right around the corner! 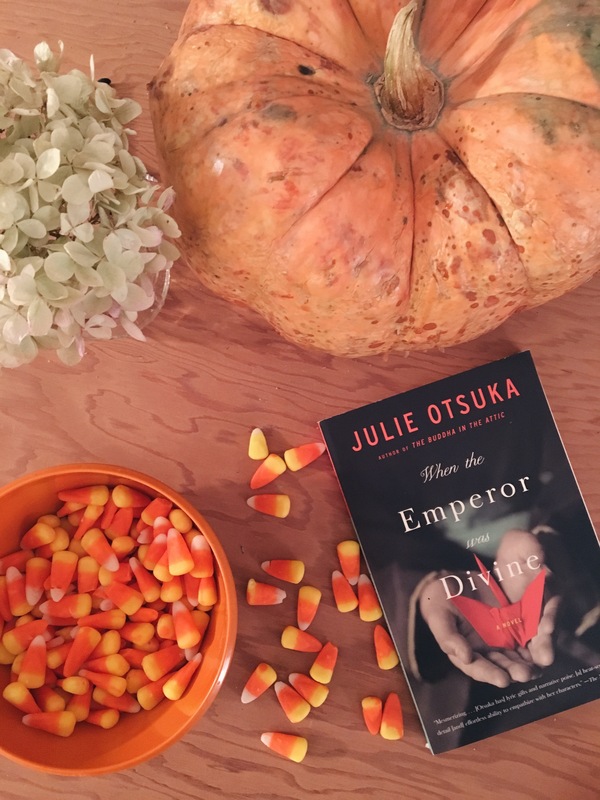 Julie Otsuka’s When the Emperor Was Divine is this fall’s star and there are events available for every member of our community to join the conversation. 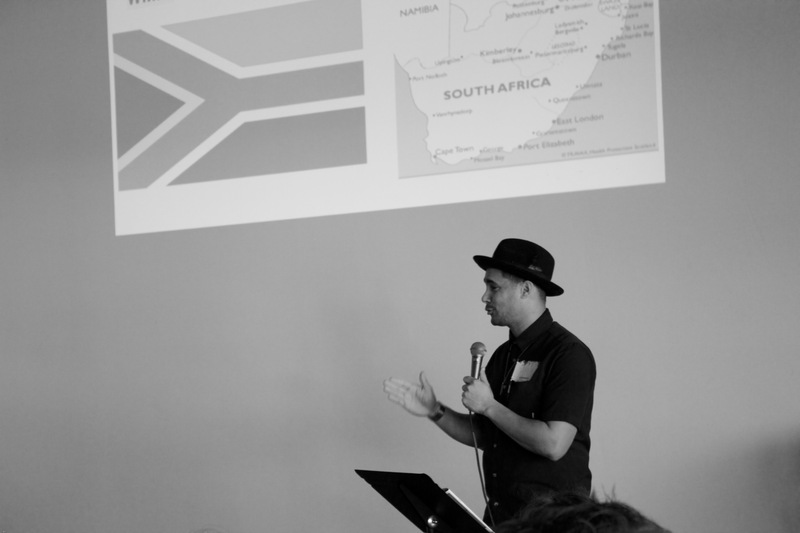 Hollanders and other nearby friends, we can’t wait to see you at our first event – only 33 more days! 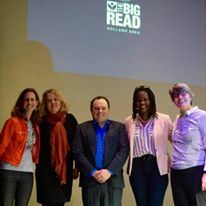 The Big Read Holland Area will return this fall, supported for the fourth consecutive year by an award to Hope College through the NEA Big Read. This year’s program at Hope, running across the first three weeks in November, will feature Julie Otsuka’s book When the Emperor Was Divine. Posted on June 8, 2017 June 8, 2017 Author Deborah Van Duinen2 Comments on 2017 Book Announced! The final Big Read Event for Edwidge Danticat’s memoir “Brother, I’m Dying” took place on November 17th, from 7-9 pm at the Holland Armory. This event focused on local high school students’ artwork from area schools such as West Ottawa, Holland High, Holland Christian, and Zeeland Christian, along with pieces from Hope College. 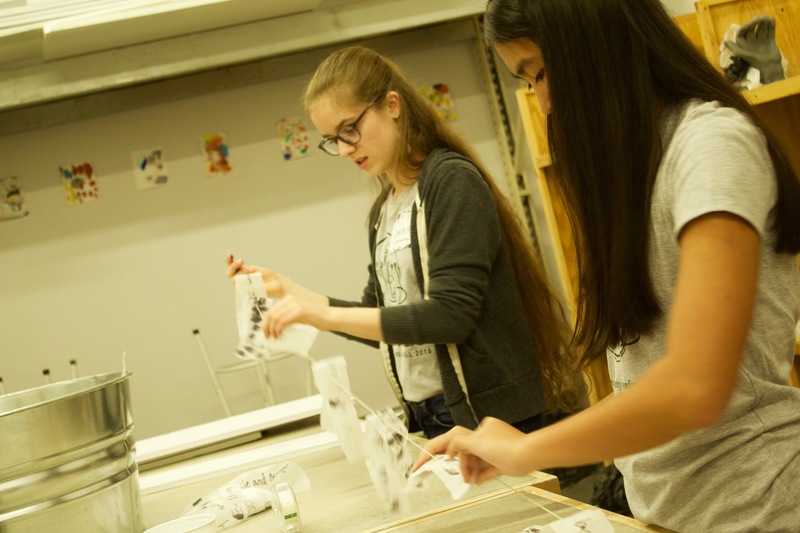 Some of the students had the opportunity to work collaboratively with artists Barry Elz and Joel Schoon-Tanis. 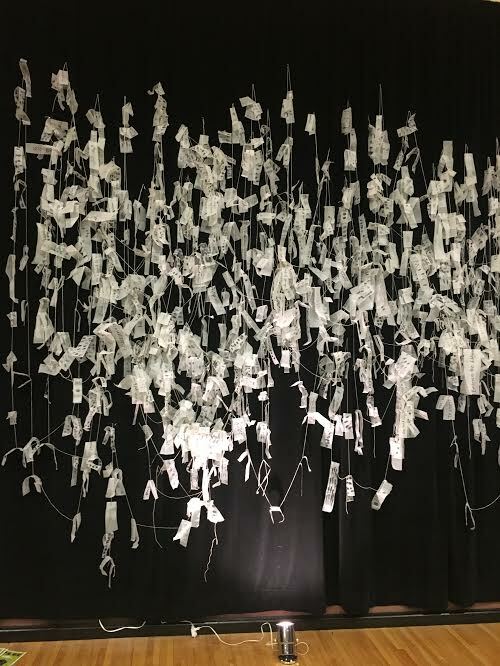 The pieces that artists made were in responses to the question, “How can art give a voice to the voiceless?” One of the main themes of Danticat’s memoir was giving a voice to the voiceless. 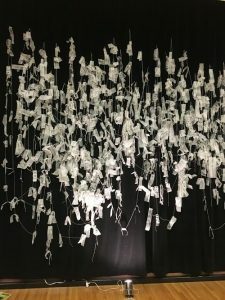 Although she did not necessarily tie this idea into artwork it was interesting to see the two combine in a way that truly did give voices to those without. 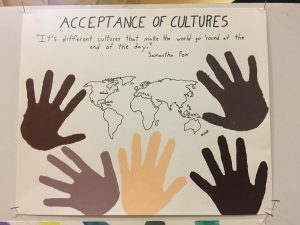 Many of the students’ artwork focused on the topic of immigration. It was empowering to see adolescents focusing on such an important topic. Seeing the students’ responses to the book through artwork showed that we can make a change on issues that hold such great importance. 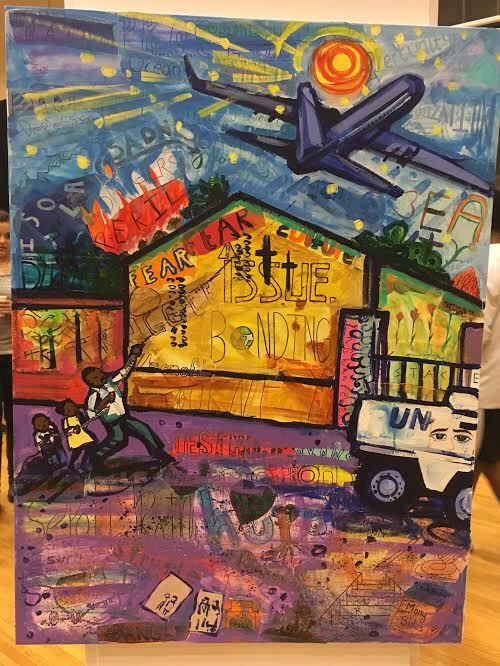 No other event could have captured the essence of this year’s Big Read as well as this culminating event did. 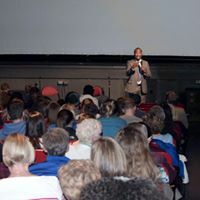 At 7pm on November 10th, students, faculty, and Holland community members filled almost every seat of the Knickerbocker Theatre for a screening of the 2014 documentary Poverty, Inc. Directed and produced by Michael Matheson Miller, Poverty, Inc. questions the impact of modern charities, foreign aid, and non-governmental organizations (NGOs) and their influence on local entrepreneurship in lesser-developed countries. 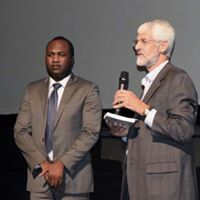 Following the screening, we were lucky enough to have Haitian entrepreneur Daniel Jean Louis discuss his experience with foreign aid in Haiti and answer questions from the audience. Louis spoke of his upbringing, saying, “Growing up in Haiti taught me about the complexity of this world…[and] I kept asking questions: why is Haiti poor, what makes poverty, and what can be done about it?” Louis continued to say that “poverty is the inability for people to maximize their potential.” He stressed that aid can create a “culture of dependency,” and that instead we need to focus on how we can help the local businesses and entrepreneurs in their own countries rather than intervening and bringing in foreign products. While Louis acknowledged that foreign aid is an immediate solution, he stressed that it hinders local businesses that produce the same products. 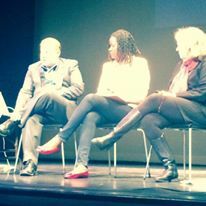 Several audience members asked pertinent and insightful questions that resulted in collective nods through the crowd. 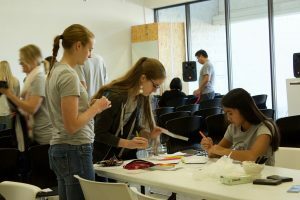 For example, one individual asked, “How can you help us know where to more effectively give our money?” To this, Louis recommended doing adequate research and looking into audits and financial statements that thoroughly documents how the organization uses the money. Further, he stressed that often personal connections (such as a friend involved in an NGO) could provide further information, stating that “it’s on the education of the donor community.” Another question, asked by a high school student, was, “What would you recommend young people doing [about NGOs]?” Louis responded by once again stressing education, which seemed to be one of the big themes of the night. 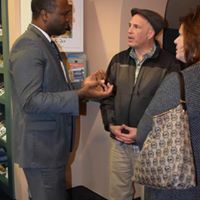 As the event came to an end, many people stayed to speak with Louis, and the lobby of the Knickerbocker bustled as people continued speaking about the event. 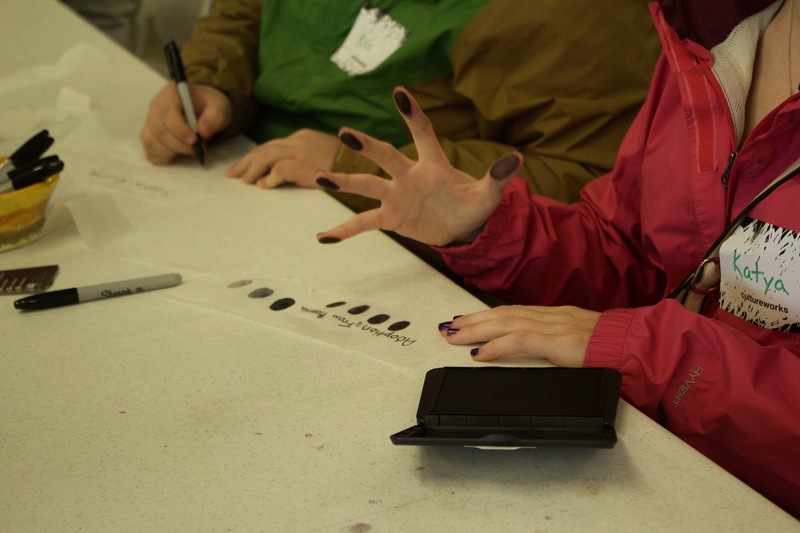 It was great to see so many individuals interested in learning more about the poverty crisis and how they can help! 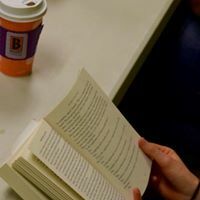 The fourth Big Read Holland Area book discussion this year took place on November 8th at Biggby Coffee. 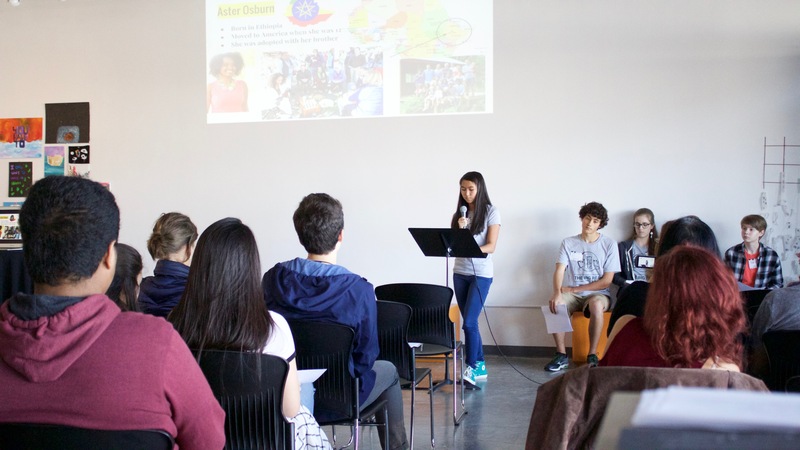 Lead by Professor Tato and the Big Read Student Committee, several Hope students as well as a high school student joined together to look at many dimensions of Danticat’s memoir. Those in attendance had a rich discussion focused on the themes in the book such as relationships, immigration, silence, and religion. There are many facets in this story that allow the reader to look at it from many different angles. 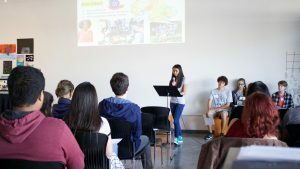 The topic of immigration was heavily discussed and the various perspectives on this controversial issue were addressed. Immigrants’ stories are not taken into consideration by Americans and border patrol when they make it to the United States. Danticat’s memoir does an excellent job of stating the issue, while also allowing the readers to add their own emotion. 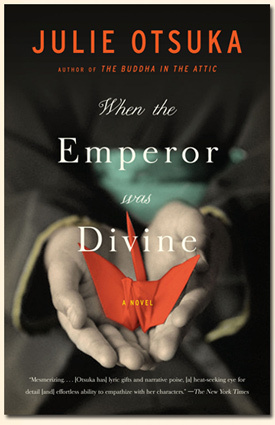 This book discussion gave participants insight into the book based on other readers’ thoughts and take on the story. 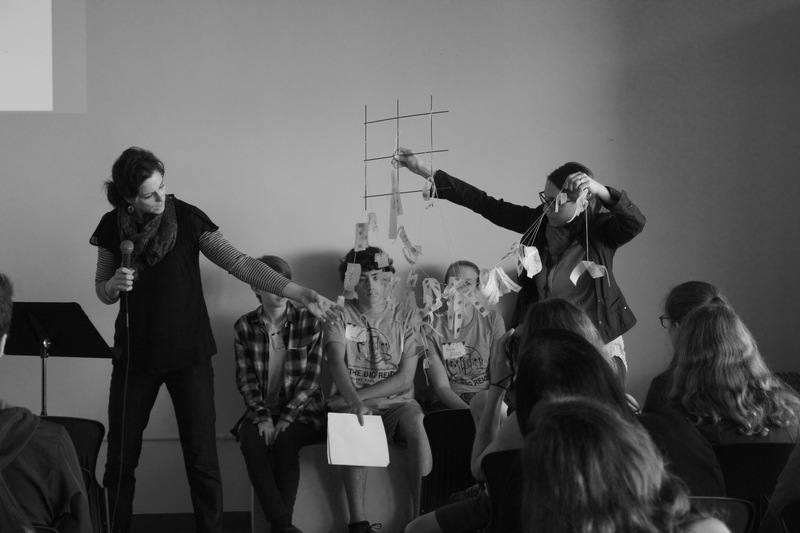 Participants were exposed to other perspectives that allowed them to learn more about the book and Danticat’s story. 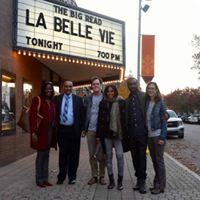 On Monday, November 7 at 7:00pm, a screening of La Belle Vie took place at the Knickerbocker theater. 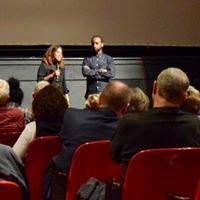 It was followed by a Q and A with the filmmakers, Rachelle Salnave and Jean H. Marcelin. 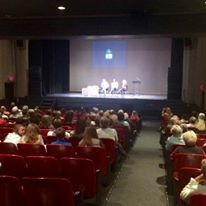 Nearly 200 people attended the event, consisting of community members and Hope students and faculty. In a catchy and artistic documentary, Rachelle captures the identity struggle she and others face as members of the Haitian diaspora. 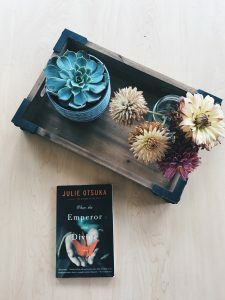 Feeling disconnected from her cultural identity, she travels to Haiti and finds her roots by examining the complex society. The documentary also explores the political instability of the country, the earthquake and its effects, education, poverty, and the role the diaspora plays in present day Haiti. This documentary was fun and full of life with captivating images put together in an interesting collage that well-represented the culture. It primarily explores the idea of La Belle Vie, or the good life, and different perspectives of this parallel to the American Dream. Rachelle Salnave and Edwidge Danticat both share their personal experiences and stories and how their identity is tied to the culture of Haiti. The documentary and the book share an interesting symmetry of cultural identity and the struggles Haitians have faced in this complex and beautiful country. 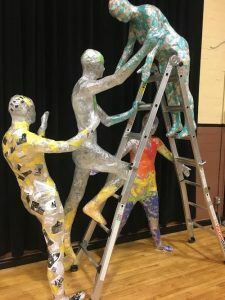 What happens when a few high school teachers and students team up to create an event for the whole community? After months of meeting and brainstorming, these hardworking students and their dedicated teachers watched their idea come to life: a community-centered art project that could echo the themes of our 2016 Big Read, Brother, I’m Dying by Edwidge Danticat. They teamed up with Ann Chuchvara and Mandy Cano, two talented artists, to design a project that community members could all create together in response to real-life immigration stories from West Michigan. At 2 o’ clock on a warm Saturday, cultureWorks welcomed around 65 people through their doors. Guests stuck a nametag to their shirt on their way in. 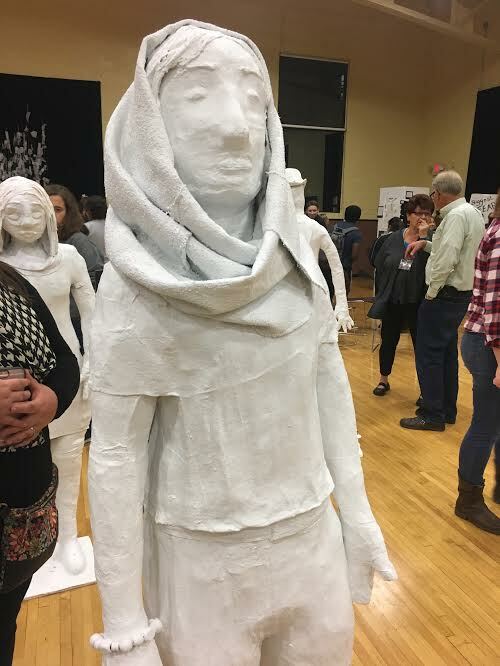 Lots of students from local students were in attendance, as well as families and Holland residents who were ready to listen and make. 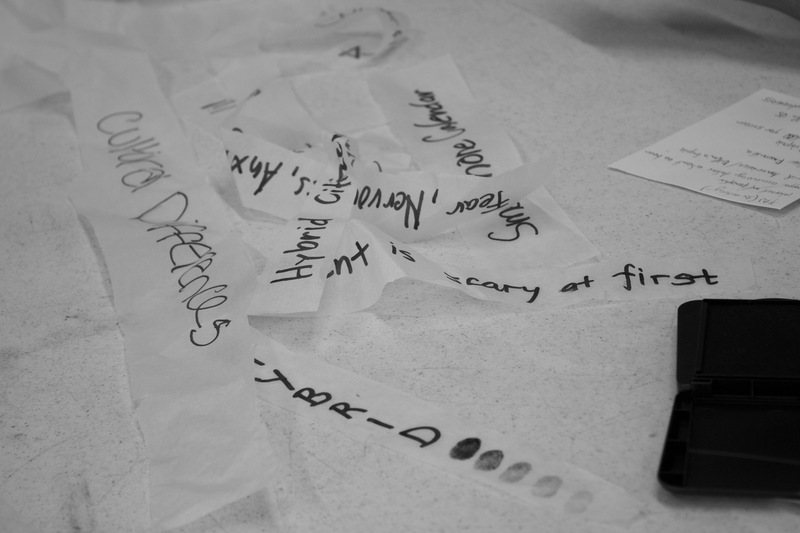 To begin the program, we were instructed to jot down certain words and phrases that stood out to us from the stories, since we’d be using them later. We listened to students read the stories written by people who had immigrated to West Michigan, and one community member read his own story. 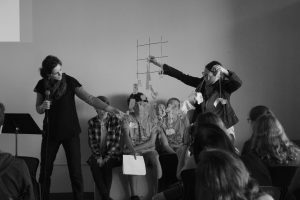 The audience laughed as the stories described light-hearted moments of miscommunication and cultural differences, but also listened intently to the struggles and obstacles that come with making such a big transition. After the stories were told Chuchvara and Cano explained that the group would be creating an installation art piece that afternoon, made up of hundreds of individual reflections on the stories shared, and our fingerprints representing the many personal identities that make up the Holland area. The medium? Tracing paper. “It’s a weak, wimpy material,” as Cano put it, that represents the “fragility” of the immigration experience. We all got right to work. 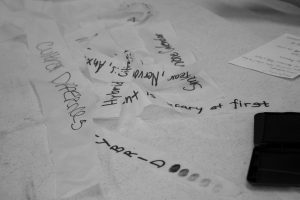 Quickly the room was bustling with inky fingertips and the fragrance and symphony of Sharpies scribbling on strips of tracing paper. Words and images from the stories were scrawled everywhere you looked- “transition,” “chicken biscuit,” “hybrid,” “nervous.” The space had great energy, and it didn’t take long for feathery masses to pile up at the end of the tables. I was surprised at how quickly the collection grew, and there was something so profound about seeing all those snippets of stories grouped together. It reminded me of the way so many of our stories overlap and blend into one another. I can’t wait to see the final product! The artists let us know that after pieces are strung together, it will be installed in the Holland Armory to be displayed during the Student Learning Exhibition on November 17. Hope to see you there! Posted on November 9, 2016 Author Molly PhillipiLeave a comment on Story. Art. Community. On the bright and crisp Saturday morning of November 5th , Holland’s “The Big Read” continued with an author spotlight on Anne Sibley O’Brien. 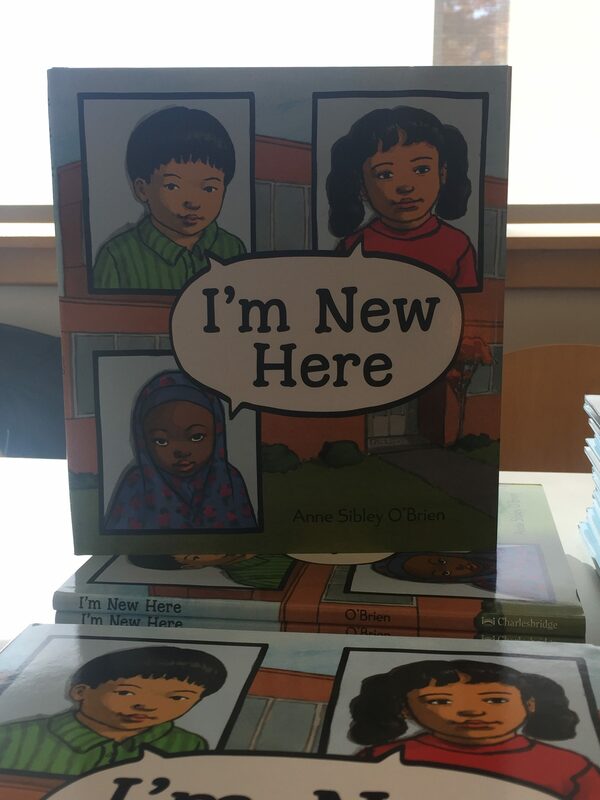 With her new book, I’m New Here, O’Brien explored the complexities of being new in school, which older readers can parallel with Brother, I’m Dying. At 11:00 in the morning, about 70 adults and kids, ranging in ages from 3 to 11, sat captivated O’Brien’s beautiful story about three children from different countries finding a home in the United States. 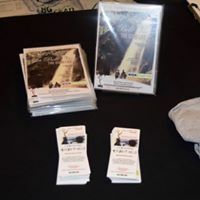 The event started off with a song, “I’m Feeling Wonderful”, in which the author introduced how accepting others makes everyone feel wonderful, and afterwards, Anne Sibley O’ Brien read her book, I’m New Here . 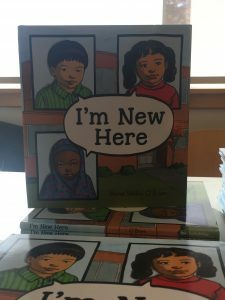 She and the children had a wonderful discussion about what it feels like to be new or different in a place, with emotional responses. One little girl replied that being different made a person feel like “ your heart might blow up”, and another little boy replied that being new can also be “fun and exciting”. The children then drew how they might welcome someone new, such as playing with the person or inviting them to their house. 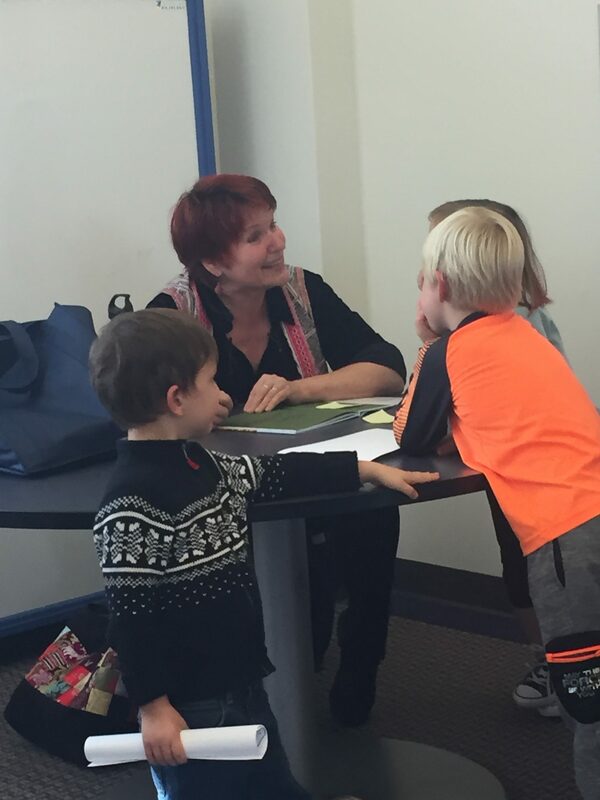 This was a delightful event that was enjoyed by all and encouraged everyone to get reading. Anne Sibley O’ Brien is the author of 36 children books. 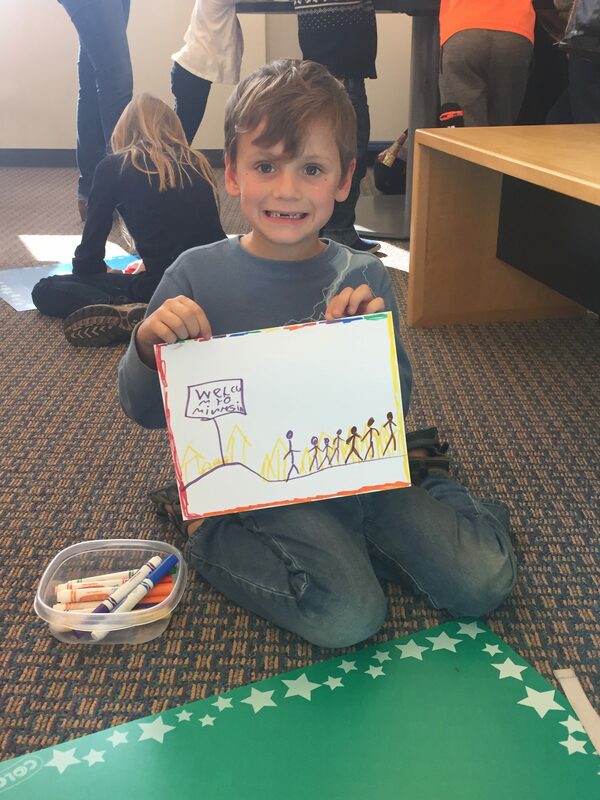 She lives in Maine with her children and grandchildren, and she has a blog entitled “Coloring Between the Lines”. 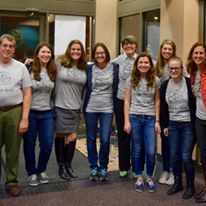 Members of the Holland community, Hope College students and faculty, and employees of Herrick District Library gathered around 7 p.m. in the Knickerbocker Theater Tuesday November 1 to kickoff the 2016 Holland Area Big Read. 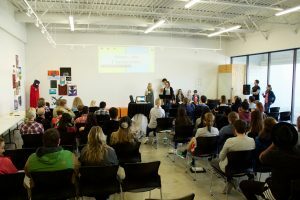 The event was three TED-Talk style presentations given by three Hope College professors. The night began with opening remarks from Deb Van Duinen, coordinator of the student committee, and Mayor of Holland Nancy DeBoer about how reading brings us together as a community. Dr. Jonathan Hagood began the talks discussing the historical context of Brother I’m Dying in his presentation “How Do We K now? Danticat and the Art of Historical Thinking.” He addressed the five C’s of history, which included change, context, causality, contingency, and complexity. Second was Dr. Pauline Remy with her presentation “Kréyol, Folktales and Family Life in Brother, I’m Dying.” She discussed how Danticat’s writing reflects the vibrancy of the Haitian culture, and how faith of community and in God is at the core of the novel. The final presenter was Dr. Natalie Dykstra whose talk was titled “Two Haitian Fathers: Where Memoir Meets Biography. She discussed how Danticat weaves biographical evidence and her own memories to create a stirring memoir. The night ended with an audience Q and A and closing remarks from Eva Dean Folkert, a member of the Steering committee. Overall the event was a smashing success!